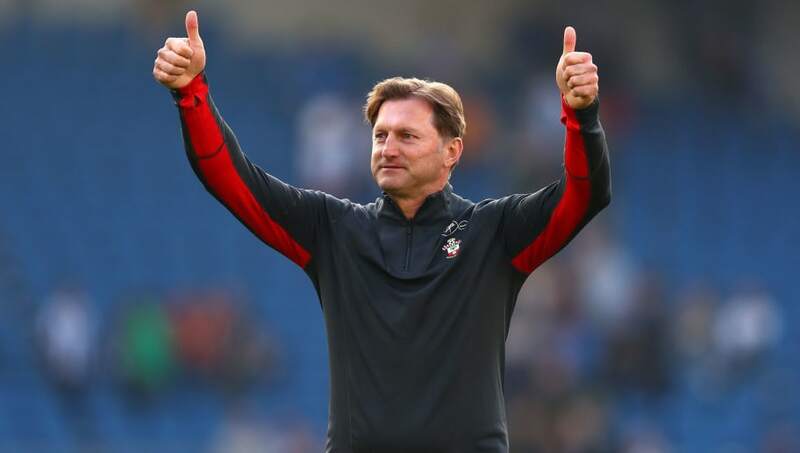 ​Southampton manager Ralph Hasenhuttl has branded ​his side's 1-0 victory over Brighton as a 'big win' in their fight to avoid relegation from the Premier League. Pierre-Emile Hojbjerg's goal eight minutes into the second-half proved to be enough to decide the game at the Amex Stadium, as the Saints earned their third win in their last four league games. It was a result that delighted the Austrian after the game, who was pleased to see his side's ability to play in a 4-2-2-2 formation - one he favoured during his time at RB Leipzig - for the first time since his arrival in early December. Speaking post-match, as quoted by ​Sky Sports, he said: "We played with a back four for the first time today in the Premier League and the guys were convinced about that. "They felt it was working. The last few weeks have been intense (in training) and now we have two shapes when we can switch and that helps us." ​Southampton's win still sees them remain 16th in the table, although gives them a five-point cushion above the relegation zone with just seven league games remaining. While the game on the south coast was bereft of clear goalscoring opportunities across the 90 minutes, the Saints managed to convert the only clear-cut chance either side created during the game, with Hasenhuttl hailing what could prove to be a priceless away win come May. Big steps towards safety for Southampton and Palace and a first win as permanent Man Utd boss for Ole! He added: "It was a big win for us to take three points. It was a different shape today and we wanted to keep them far away from our goal because we know they are good from set-pieces. "It was a very good game from us. We had one good ball in the second half and we had a few other good chances. We could have scored one or two goals more, but it was a big win for us." The only negative for Hasenhuttl was that his post-match celebrations saw him unintentionally snub ​Brighton manager Chris Hughton after the game for a handshake, with the Saints manager taking the time during his media duties to apologise. He said: "It was such a big feeling (after the win) that I forgot to shake the other manager's hand and that's why I have to apologise. I always forget everything when the final whistle comes - so please, sorry. I was five seconds too late but then I came and shook the hand."